Great Amenities, Perfect Locationsubmitted by Ryan C. - Apr 22, 2019 |Recommended: YesThe Falls Apartments has really helped me get settled into Idaho Falls. The gym is extremely well kept and clean, and the service from the front office is great. response from property - Apr 24, 2019 Thanks Ryan! We are happy you have chosen The Falls Apartments as your new home! Fun place.submitted by Aubrey K. - Apr 03, 2019 |Recommended: YesFun community. response from property - Apr 09, 2019 We are so glad that you enjoy The Falls community. Thank you for playing a major role in making our community such a great place to be! Well mantained, upscale place to livesubmitted by James F. - Feb 05, 2019 |Recommended: YesThe units are quiet and the common areas are kept very clean. There is plenty of parking and a nice clubhouse with pool and fitness room. the property is close to restaurants, shopping and recreational opportunities. The Falls is a very pleasant place to live. response from property - Feb 20, 2019 Thanks James! Snake River Landing is a beautiful place, and you have a beautiful view! I think it's okay, too early to tell yetsubmitted by Mary F. - Feb 02, 2019 |Recommended: YesFairly nice, but a little baffled by the lack of a coat closet by the front door. response from property - Feb 20, 2019 Thank you for your insight Mary. We tried to maximize as much space as possible so we did put the shelves and hook hangers in there. We hope you enjoy the rest of your space! Kent's review.submitted by Herbert M. - Jan 01, 2019 |Recommended: YesPleasant and contemporary. response from property - Jan 04, 2019 Thank You! Anything we can do for you please let us know!  The Falls is a Great Place to Livesubmitted by Stephen W. - Dec 14, 2018 |Recommended: YesWe have been here for 20 months and love life here. We use the gym about 6 days a week and have rented the clubhouse three different times to entertain larger groups. The Falls staff members are friendly and responsive to our needs as residents. Anytime a maintenance request is made the staff is quick to help. We would highly recommend The Falls as a quality community to be a part of. The complimentary DirectTV and WiFi is a welcomed bonus. response from property - Dec 15, 2018 Thank You Stephen. We appreciate how kind you always are and how you motivate us to work out!! response from property - Dec 08, 2018 Thanks Sam, We think you guys are great! Great property Meets all of my needssubmitted by Olivia C. - Dec 07, 2018 |Recommended: YesThe falls apartments are the perfect place for me to live. Great location that is walking distance to bars and restaurants, and right on a great running trail. The staff are helpful and friendly and usually get to any of my requests or needs within the day. I have not had any trouble with loud and disruptive neighbors. All and all a great place to live. response from property - Dec 08, 2018 Thanks Olivia, Snake River Landing is growing into a great little community! We love having you here with us. We have some super fun event ideas involving our neighbors this next year, stay tuned! response from property - Nov 29, 2018 Thank You Sarah! We enjoy you as well! We always love to see your festive balcony ! Exceptional Apartmentssubmitted by Allyson F. - Nov 02, 2018 |Recommended: YesI've lived here for about two years now, and I absolutely love my apartment. The amenities in each apartment are really nice I can't ever hear my neighbors through the walls, and it's a really friendly community here. The staff here is very friendly and helpful, and the maintenance staff is very professional and quick to solve any problem. This is by far the nicest apartment I've lived in, and would highly recommend it to anyone looking for an apartment. response from property - Nov 14, 2018 Thank You Allyson, you have been with us from the beginning !! We are glad you have enjoyed being part of our community as much as we have enjoyed having you here. The property is great.submitted by Brandon L. - Nov 01, 2018 |Recommended: YesIt's awesome. response from property - Nov 14, 2018 Thanks Brandon! We think you are great as well! We have some fun and exciting activities this next year that we can't wait to put on. Make sure to follow us on social media to be aware. response from property - Nov 14, 2018 We think YOU are fantastic Elizabeth! Welcome to Idaho Falls. We have some fun and exciting activities planned this year, you will be sure to meet even more great neighbors. Everything I expected and moresubmitted by Jeremy W. - Oct 05, 2018 |Recommended: YesMy kids and I love our place and the accessibility to everything along the Green Belt. response from property - Nov 14, 2018 Thank You Jeremy! We are elated to hear you are happy here! Great place to live as far as I m concernedsubmitted by Michael G. - Sep 14, 2018 |Recommended: YesHave told many people about The Falls since moving in a few months ago great location, great staff as well and the grounds are keep impeccably clean also. Nice Location, high quality, a bit noisysubmitted by Anthony J. - Sep 04, 2018 |Recommended: YesMy time here in the first 30 days has been excellent. Great staff, maintenance, and grounds. My only qualm is that the noise from surrounding apartments doesn't seem to be filtered out too well.